Is it really as good as it looks? I’ll let you decide. In the process, you’re going to learn a whole lot about choosing the best product for your dog. But I must warn you: this isn’t going to be fair. There’s a reason behind everything I say, but you’re getting my personal opinions. 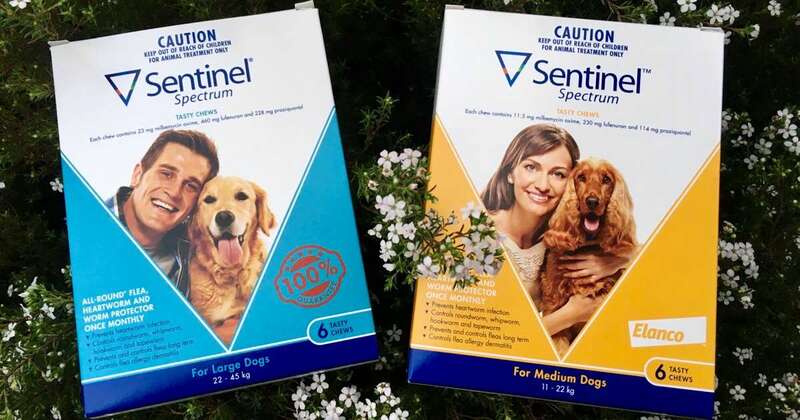 Sentinel Spectrum is a once-a-month flavoured tablet that prevents heartworm, fleas and intestinal worms in dogs. It is the most complete single product for these three groups of parasites. That’s why it’s deservedly popular. I like it too. Once you understand it you might, like me, think there are better solutions. It’s a case of ‘jack of all trades, master of none’. Let’s look at each of the things it does, and a few extra it doesn’t. Sentinel contains lufenuron, an insect growth regulator. It kills fleas in the egg by blocking their growth. That’s great for safety. Being the only non-insecticidal product for dogs is certainly an excellent drawcard. However, not killing fleas isn’t always compatible with an active lifestyle. Your dog will undoubtedly pick up ‘travellers’ on the street, at the park, and even in your yard from stray cats. These fleas will live long, happy lives. So if you’re into flea welfare, Sentinel is the best. Personally, that’s not a group I’ll be joining anytime soon. Modern treatments in the isoxazoline class are very safe and extremely fast in removing fleas. Like Sentinel, they’re also tablets so you don’t have any messy drug and solvent on the coat. There are three. Simparica is my clear winner. I have seen no evidence of it being out-performed anywhere. Just yesterday I saw a dog that lives in the hills who has always had mite problems no matter what was used. Until this year, that is, thanks to Simparica. One very happy dog (and owner). Bravecto has taken a lot of heat for suspected adverse reactions in dogs, which I think is unfair. However, it’s still wise to avoid longer-acting products if you can use shorter-acting products effectively. Nexgard I have no strong opinion of. Towards the end of the month, it’s a bit slower to kill fleas and ticks than Simparica though. Hang on, did I just mention mites and ticks? That needs an explanation. Is Sentinel a Mite & Tick Treatment? Nope. Companies aren’t great at telling you what their products don’t cover. Here’s a list of the common mites and ticks of Aussie dogs, which is very similar to other countries. The paralysis tick deserves a special mention. At any one time, half of the patients in some vet hospitals in the eastern states can have tick paralysis. It kills without treatment and is very expensive to manage. Now consider this: there’s a series of new products that finally are capable of preventing tick paralysis properly. Those products are, once again, Simparica, Nexgard, Bravecto. Why anyone living in a tick-prone area wouldn’t use these is a mystery to me. Even in boring old Adelaide, they will prevent all the mites in the list above, plus prevent paralysis ticks when travelling. Ear mites and Demodex are particularly common in puppies. Sentinel will kill heartworm larvae for one month after they are deposited by mosquitos. That’s the same as most heartworm preventatives on the market. Safe and effective. However, if you read my history of heartworm in Adelaide you’ll see how we never had good control using monthly treatments alone. It’s not that they don’t work, it’s that we keep forgetting to give them. Me included. I used to remember it at 3 am and then forget it the next day. That’s why we recommend that most dogs receive the annual ProHeart injection, containing moxidectin. It doesn’t cost much more and works for 12 months after each dose in adults. Sentinel kills all the common intestinal worms in Adelaide dogs, including tapeworm. That makes it unique among heartworm treatments in 2018. Studies in humans have shown the interesting link between allergy and being free of worms (reference below). It seems like the immune system needs something to keep it busy. In other words, it may be better that we pick up the odd worm than never have them at all. Existing recommendations to give a worming tablet every 3 months probably achieve a good balance. The life cycle for most worms is around two weeks. Dogs are likely to pick up worms at the park but never get enough to harm them. So now that I’ve picked on poor Sentinel Spectrum, let’s give it the chance to defend itself. It does a good job of heartworm and intestinal worm control if used correctly. It’s perfectly fine for fleas if dogs aren’t too social. Those fleas that are picked up won’t breed in the house. It has one other distinct advantage that should not be ignored: price. For what it does, it stands out as the cheapest option. 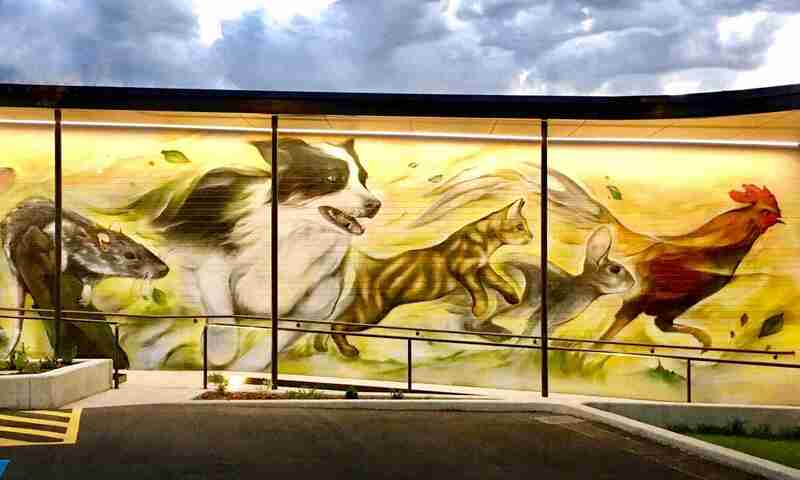 In a world where dog health depends on an owners’ financial state, this is also important. So if you’ve chosen Sentinel, don’t feel that there’s anything wrong with that. I picked it as an example but I could have done the same with most products. But I hope you can see how a tailored approach designed by your vet can be better. infection: a systematic review and meta-analysis. Allergy. Last week, the U.S. Food and Drug Administration put out a frightening warning for pet owners and vets: certain flea and tick medications—isoxazoline class drugs—have the potential to cause seizures and other neurological effects in cats and dogs. Next PostNext Should Cats Be Fed Wild Foods?